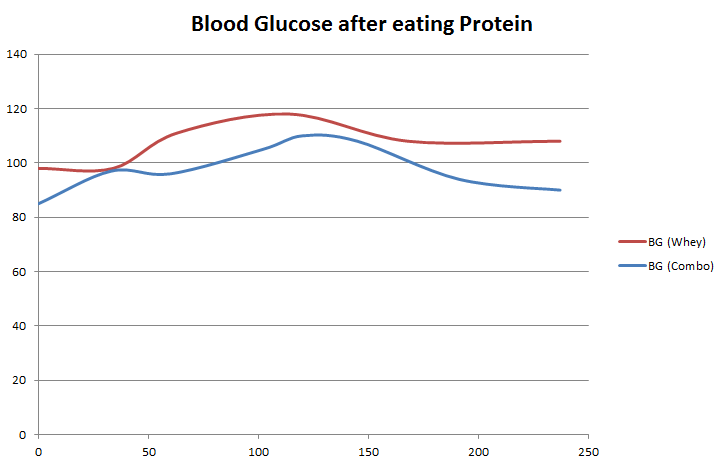 In both tests I fasted for at least 16 hours before taking the Protein Powders. The standard information is that Whey is a fast acting protein and Casein is a slow acting protein. My starting and ending numbers today are lower than the previous test since I am farther into my Protein Sparing Modified Fast (PSMF). I don’t have a mechanism to measure my Insulin levels.